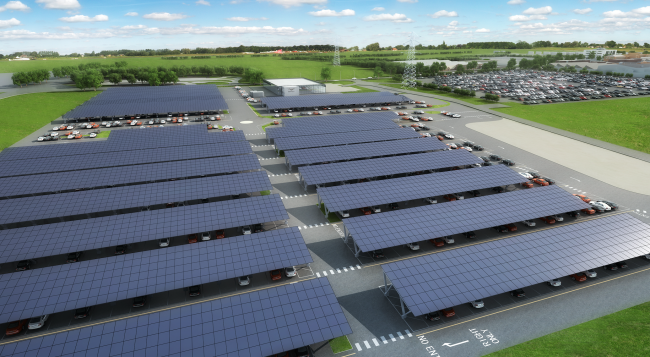 Bentley Motors has announced that construction has started on the UK’s largest ever solar-powered car port at Bentley’s factory headquarters in Crewe, UK. The installation of 10,000 solar panels, which has a capacity of 2.7MW, will take approximately six months to complete. Once completed, the car port – which covers Bentley’s colleague car park – will take Bentley’s energy system to 30,815 solar panels. This includes the 20,815 panel roof top installation completed in 2013. Peter Bosch, Bentley’s Member of the Board for Manufacturing, said: “We continue to focus on new initiatives that reinforce our commitment to the environment, whether this is introducing alternative powertrain technologies in future models, or our award-winning work to reduce the environmental impact of our factory. The solar car port installation, which covers 1,378 car parking spaces, and an area of 16,426m², will be installed and operated by FlexiSolar, the innovative solar car port specialist. The project is also backed by Innovate UK, the UK’s innovation agency driven to support the science and technology initiatives that will grow the UK economy. 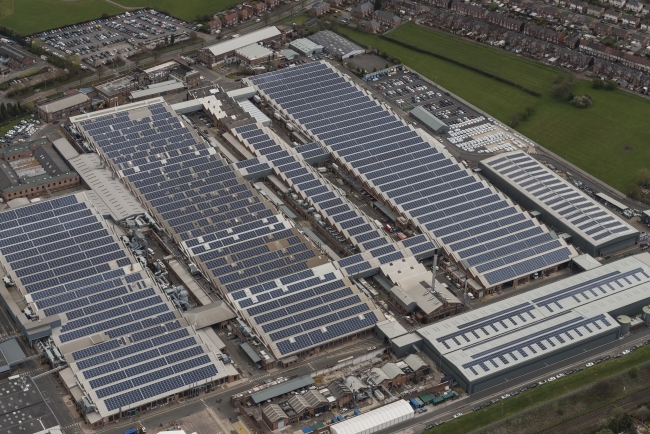 This solar installation announcement follows recent recognition that Bentley Motors has become the first UK automotive manufacturer to be awarded the Carbon Trust Standards for carbon, water and waste, further reducing the environmental impact of its operations in Crewe.